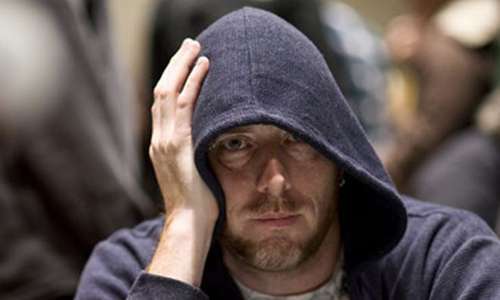 The saga of infamous poker cheat Christian Lusardi has returned to poker news tabloids and forums in recent days, fueled by a forum posting claiming that the notorious “counterfeit chip” cheat had been paroled and released after only a few months in a New Jersey state prison. Such postings and subsequent stories offered by a handful of outlets were largely incorrect as to intent and meaning: Lusardi was indeed paroled last July, but was never released. In 2015, Christian Lusardi was convicted and sentenced to five years in prison for inserting counterfeit chips into a Borgata poker tournament. He was transferred to a federal prison in July, 2016, relative to a separate DVD bootlegging case. Instead, as first uncovered by noted poker writer Jessica Welman, Lusardi was transferred to a federal prison in Edgefield, South Carolina. At the time of his sentencing on the counterfeit-chip charges, Lusardi had just been sentenced to five years in prison in a separate case involving the manufacture, distribution and sale of bootleg DVDs. Federal agents who raided Lusardi’s North Carolina home in connection discovered DVD-burning equipment, packaging and printing equipment, and of course thousands of fake DVDs. Lusardi had moved the illegal merchandise through multiple channels, ranging from shipping the DVDs overseas to selling them at area flea markets, and according to investigators had generated income well over a million dollars from the activity. Lusardi was actually held in custody during his trial in his counterfeit-chip case, in which his antics caused the cancellation of a major preliminary event in the 2015 Borgata Winter Poker Open. Lusardi eventually received a five-year prison sentence for that scheme as well, which was uncovered when Lusardi attempted to flush hundreds more of the fake chips down a toilet in his hotel room at another Atlantic City casino. The five-year prison term in the counterfeit-chip scheme, though, was scheduled to run concurrently, for the most part, with the five-year sentence Lusardi had received in the DVD-bootlegging scheme. That’s where the story became a bit complex and misleading. News reports emanating from New Jersey, relating to the Borgata case and Lusardi’s sentencing there, reported only that he was sent to a New Jersey state prison. Which state prison that was was never specified. It is a possibility — noting that this is speculative — that the plea deal involving Lusardi might have allowed him to receive behavioral treatment at a New Jersey facility that might not have been available in a South Carolina federal pen. The transfer to South Carolina might also be something as simple as allowing him to be closer to his North Carolina-centered family. As the records show, Lusardi was indeed “paroled” from the unnamed New Jersey state facility on July 25th, but he was never released. 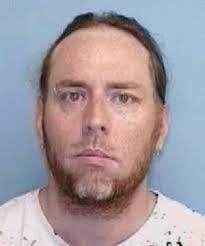 Instead, he was transferred to the FCI Edgefield facility in South Carolina. Located not far from Augusta, FCI Edgefield desribes itself as “a medium security federal correctional institution with an adjacent minimum security satellite camp.” It is believed, but not confirmed, that Lusardi currently resides in the main facility, not the adjacent work camp. Regarding being “released,” that’s not happening any time soon. As already noted by Welman in her piece yesterday, Federal Bureau of Prisons records show Lusardi currently incarcerated at Edgefield, with a scheduled release date of June 8th, 2019. Lusardi might be eligible for parole at a later date, but federal sentencing guidelines generally require inmates to serve 85% of their sentences before being considered for early release.